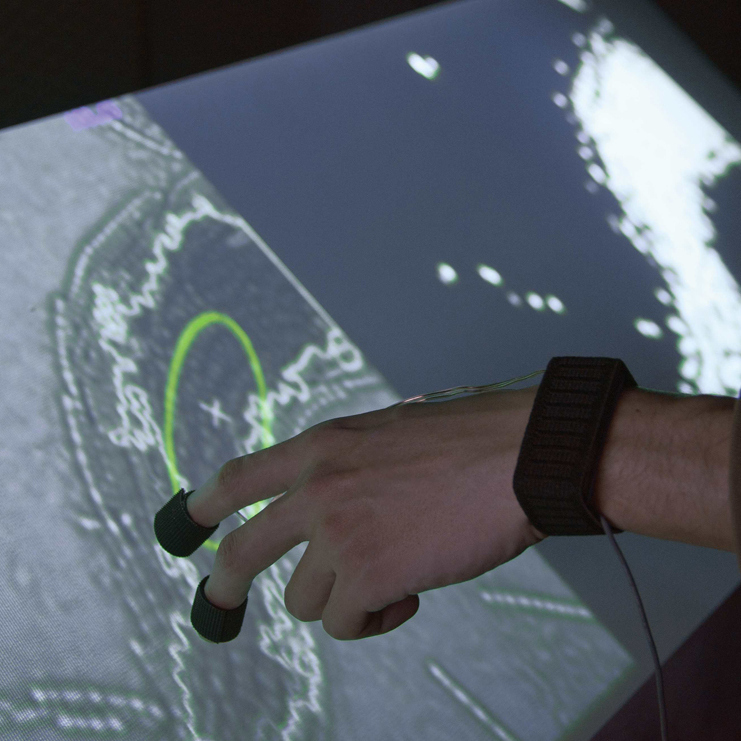 As well as interactive installations, Juan M. Castro has been working in real-time visualization of organic information and the creation of hybrid architectures with bio-materials. Born in Bogota, Colombia, he is currently living and working in Tokyo, Japan. In 2008 he founded “Biodynamic geometries” as a unit for experimental creative projects. Since its inception it has developed an exhibition program of biomedia art installations. As a postdoctoral research fellow, he is investigating the impact of “synthetic ecosystems” and “interkingdom communication” upon artistic practice in the laboratory for molecular cell network—department of electrical engineering and biology— at Waseda University. Heliotropika is a hybrid installation focusing on the interactions between microorganisms, humans and light energy. The project creates an interface between the visitors and a group of cyanobacteria by integrating the photosynthetic activity of these cells, the dynamics of environmental light and the bioelectrical activity of the participants. Using cell culture and computer vision, this work renders the photosynthetic activity of cyanobacteria in the form of an organic structure. It also produces dynamic geometries of solar energy by analyzing environmental data. Simultaneously, this work transforms the activity of the nervous system of each participant into “light” to stimulate the cells. As a result, the visitors and cyanobacteria influence each other giving subsistence to a dynamic feedback system. This assembly, thus, questions the possibility of an interkingdom interaction system that could provide insight into the patterns orchestrating the complex coexistence of organic life.